This survey is part of our mission to understand the world of co-ops and to make that knowledge accessible. We selected our informants based on their specialized knowledge about co-operatives — knowledge that is extensive, detailed, and privileged. The 2018 survey included a sample similar to last year’s — CEOs, board members, managers, and academics balanced by region, sector, and role within their co-op. 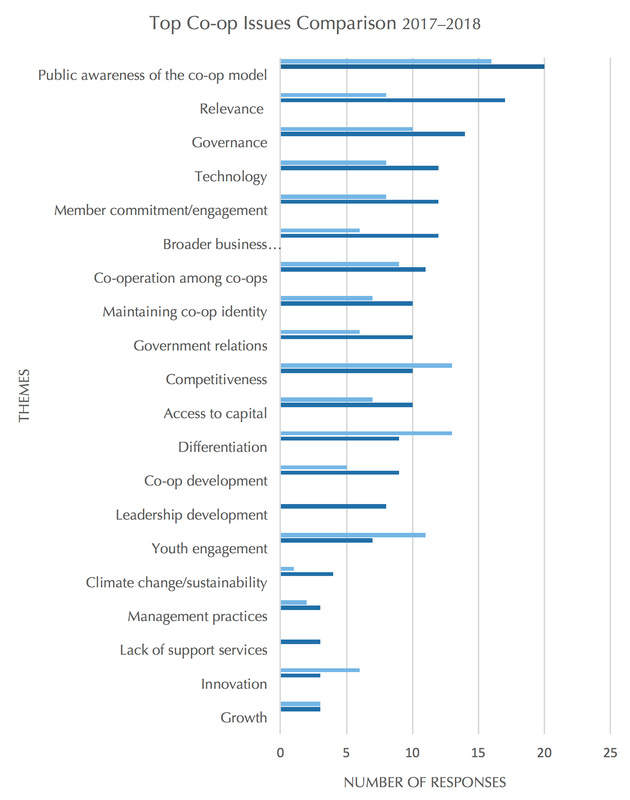 Our forty key informants identified many issues, which we have analyzed and organized under themes that include competitiveness, access to capital, co-op development, member engagement, competitiveness, relevance, innovation, and governance. There were only two themes common to both the 2017 and 2018 surveys: public awareness and governance. Of the other four top themes in 2017, three of them dropped significantly: competitiveness from second to sixth; the co-op difference from third to seventh; and youth engagement from fourth to ninth. Although co-operation among co-ops fell only one point, that was enough to take it out of the top six. The dark blue bar represents 2018; the light blue, 2017.
Notable moves in the other direction include relevance to contemporary needs, which moved from seventh to second; the larger business economy/globalization/sharing economy, which rose from ninth to fourth, and member engagement and changing technology, tied for seventh in 2017 and tied for fourth in 2018. Governance moved up a couple of notches as well, from fifth last year to third this year. The largest jump of all was in concerns about leadership development, which was dead last with no votes at all in 2017 and moved up to eighth position this year. These significant changes in status may not indicate that certain issues are no longer important, but simply that others have gained more prominence in a rapidly changing environment. The status of some issues changed very little. Items such as co-operation among co-ops, access to capital, and maintaining the co-op identity remained consistent across both years, around the middle of the pack. But themes one might think would be of significant interest such as growth, innovation, management practices, and managing organizational change have been remarkably low on the scale over the past two years, with the last item receiving no votes this year. One can only speculate why this should be the case in an environment where the challenges of change seem to come up in every conversation. Also puzzling is the insignificant regard for management practices when governance issues are so high on the scale. The continuing rise of the governance theme reflects the now-well-established fact among organizations of all types that governance is a critical determinant of success or failure. It also enjoys great attention in the academic literature and in seminars, workshops, and courses nationally and internationally. And the rise in the status of the member engagement theme indicates a clear understanding that good governance depends in part on the commitment of members. The renewed strong concern about the relevance of co-operatives to contemporary needs is a call to action for co-ops to learn how to compete more effectively in changing markets, social conditions, demographics, and regulatory environments. There is a fear that competitors are making these adjustments more quickly and more successfully and chasing co-op members. Perhaps the biggest story this year is the strength of the larger business economy/globalization/ sharing economy theme, which languished on the bottom third of the scale for the past two years and suddenly jumped to fourth place this year. Co-operatives need to be ever vigilant in maintaining an aggressive ability to respond to broad economic trends, globalization, and particularly the issues posed by the sharing economy if they are to continue to thrive in the broader business environment. The sharing economy has been enthusiastically characterized by many as a game changer, a disruptive threat to all kinds of businesses. Co-ops are not immune to its challenges, and respondents to this year’s survey clearly registered their awareness and concern. Proponents of the sharing economy seem to have conveniently forgotten the history of sharing, especially in co-operatives and among Indigenous peoples. Co-op leaders can take advantage of this renewed interest in sharing to promote co-operatives as “a principled way of doing business that promotes education and community welfare, supports efforts to humanize the economy, and redefines what ownership can mean.” Read more about responses to the sharing economy here. 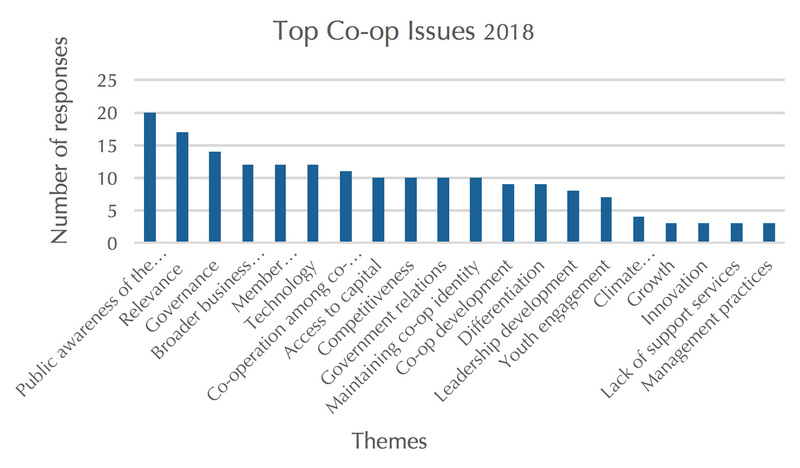 This year’s survey, as did that of 2017, revealed a wealth of information about what co-op leaders across Canada are thinking about their organizations as well as many practical suggestions for addressing challenging issues. Watch this space for a discussion of these action items. 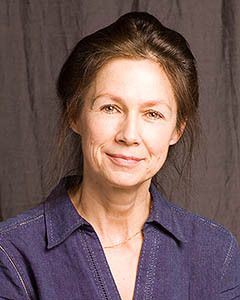 This entry was posted in Governance and tagged co-op governance, co-op leadership, co-operation among co-ops, member commitment in co-ops, public awareness of co-operatives, relevance of co-ops, sharing economy by Nora Russell. Bookmark the permalink.